Your source for everything related to movies! 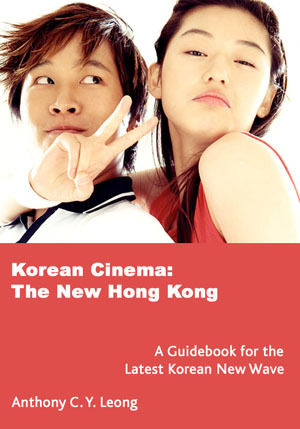 The first guidebook for the Latest 'Korean New Wave' of filmmaking! Now available from Amazon.com, Amazon.ca, Chapters.Indigo.ca, Asian Cult Cinema, and AsianDB.com! Also instantly downloadable as an eBook from Amazon.com, Powells, and Amazon.co.uk! Since the late 1990s, South Korea's local film industry has undergone a remarkable transformation, with a new generation of Korean moviemakers revitalizing the industry with films such as "My Sassy Girl", "Shiri", and "My Wife is a Gangster". In some circles, South Korea is even being likened to the new 'Hong Kong', with its film industry on the verge of exploding onto the world stage, similar to how the 'Hong Kong New Wave' catapulted the former British colony and its groundbreaking films into the international spotlight.